What is Difference between Chandelier and Pendant Light? If you have gotten to that point and you are considering new lighting for your dining area, your kitchen or any other room in the house, then without a doubt pendant lighting should be somewhere in your list of lighting to consider. It should be an easy pick right? Well, not quite as there is chandelier lighting which is also lovely and equally breathtaking. So now this brings you at crossroads not knowing which way to turn, and understandably so. Replacing your lighting is an important decision and whichever you choose to go with, your home’s aesthetic will be affected not to mention its value. The change may be dramatic depending on the type that you choose and the position in the house that you choose to fix it. But just you freak out and give up; there are some major differences that may help in making the right choice. This is the major difference between the pendant lighting and chandelier lighting. While the pendant light fixtures are suspended from the ceiling with a cord or a chain having a single or a pair of lights at the tip, chandelier light fixtures, though suspended in the same way from the ceiling feature multiple arms which support lights. Some years back, the chandelier arms supported candles but in the modern times, the candles have been replaced with light bulbs with different hues. Before you choose the suspension light system that you prefer, there are some factors that you should put into consideration. These will determine the best system for your home. Sure, your friends place may look spectacular with a chandelier but the same may not be the case for your home. You have to consider the function, the style as well as the size of your room. Speaking of size, the height of the ceiling also determines the size of the room that you have. 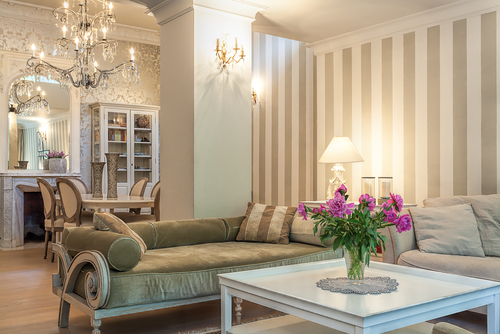 If you have a small sized room, the size of a chandelier may cramp up your space. Sure, chandeliers come in a variety of styles and sizes, but all in all, large rooms are best for chandelier lighting. 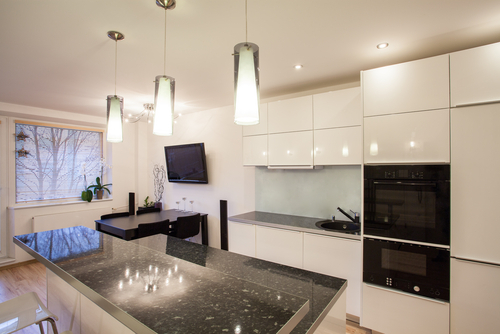 Pendant systems on the other hand are best for small rooms. As technology advances, the range of materials that are used to make lighting systems also increase. There is a whole article sized explanation to that effect but we would rather not get into that. But even as the material range increases, the materials used to make pendant and chandelier lighting systems tend to overlap at one point or the other. But even then, there are some notable differences to help steer you in the right direction. Pendant lighting comes in several materials including Tiffany glass, bronze, stained glass, brushed steel, nickel and blown glass which happens to be a favorite with pendant lighting manufacturers. For chandeliers, the materials used for manufacture are not as vast in range as pendant lighting. As a matter of fact, the most common chandelier materials include glass, crystal, steel and iron. You probably are wondering why this is the case right? Well, the reason is quite simple – chandeliers are considerably heavier than pendants. If you have already started on your research, you might have noticed by now the numerous styles that you have to choose from. To say the least, the list of styles available can be dizzying if you do not have an exact style in mind. The difference in style between the two will hopefully lift a heavy load off your shoulder. 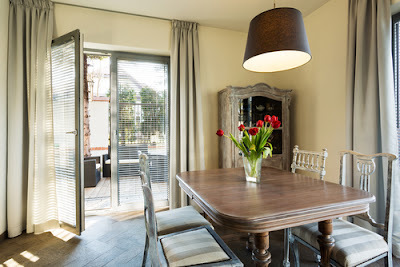 The common pendant styles include the single lamp shade and the mini blown glass. Pendant lighting tends to fit in almost all of the rooms given its diverse and versatile nature. Chandeliers on the other hand tend to be limited to the large areas of the home including the kitchen and dining and sometimes the living room if the ceiling is high enough. Pendant lighting is simple yet modern and can feature different artistic styles as well. Chandelier lighting in the other hand is definitely ornate and fancy. They grace formal dining rooms for the most part. Given their design and suspension system, you obviously expect a vast difference in the nature of the light that they provide. Chandeliers, being large and featuring multiple bulbs are able to light large rooms effectively. The light they emit is as a matter of fact sufficient for ceilings like those of a cathedral. Pendants on the other hand given the fact that they feature a single bulb at their tip tend to provide more focused lighting suitable for small rooms and areas. Let’s put this into context. 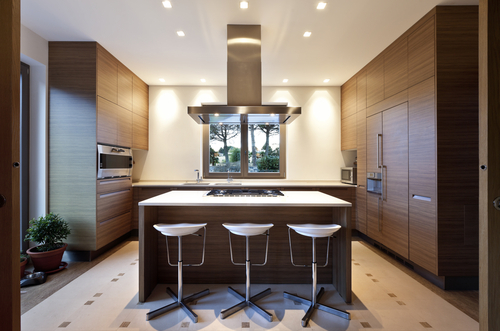 Say you are choosing lighting for your kitchen. 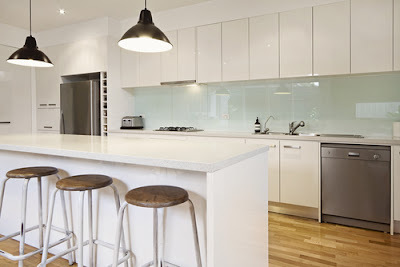 If you choose to go with pendant lighting, you will be forced to suspend different pendant lights over the kitchen counter to achieve the illumination that you are after. For a large kitchen however, a single chandelier may suffice. The fact that you are looking to have new lighting in your home does not mean that you have all the money in the world to throw away. With the current economic status, though one has to make some enhancements to a home, the price should and must be considered lest they find themselves in a financial pit that they cannot get themselves out of. That said, you probably should have in mind that chandeliers tend to fetch a higher price than pendants and understandably so. Chandeliers are made to be eye catching, fancy and elegant. The fact that many of them are large and are made from expensive material does not help the case. There are however those that are made of glass which tend to be less costly in comparison to the other chandeliers. With chandeliers, one has the option of choosing colored glass to achieve different moods and aesthetics. Glass chandeliers are highly beneficial given the fact that they shine and refract the light giving a major boost to the lights that illuminate from them. Pendants are the more affordable option and which provides you with more style and versatility. They tend to fit in most rooms given their, modern simplistic and artistic nature. As you make your choice of the lighting system to prefer, it is probably important to ensure that you do your research first. Sure it might take some considerable amount of time, but it will all be well worth it in the end. LED's are used in Singapore and many other countries around the world. LED lighting has many advantages over traditional bulbs, and you deserve to know more about it. Therefore, we are going to talk about 9 awesome facts on LED lighting. There were around 49 million LED's installed in the U.S. in 2012, saving around $675 million in energy costs per year. The United States can save up to $250 million over the next two decades if the country switches to LED lights completely, and Singapore can also follow suit. Energy consumption would be reduced around 50% avoiding around 1,800 million carbon emissions' metric tons in the United States. Nick Holonyak, Jr. invented the first ever visible-spectrum LED at GE in 1962. The LED technology has been advanced over the years reducing costs over time, which made LED's a great lighting solution. Between 2011 and 2012, sales of LED lighting bulbs skyrocketed while costs went down by 40%. LED lighting will comprise 75% of the lighting bulb market by 2030, according to estimations. LED's have a smaller impact on the environment compared than any incandescent bulb out there, according to an Energy Department's study. LED bulbs have also an edge over CFL's, which is expected to grow as LED technologies improve over time. In addition to these facts, the Energy Department has also been funding research around LED lighting and other technologies, resulting in 58 patents. These patents include additional ways to use some materials, how to solve technical challenges, and so on. There are also other projects related to cutting costs by improving processes and manufacturing equipment. LED bulbs are up to seven times more energy efficient than any incandescent light out there cutting energy costs over 80%. LED bulbs can also last up to 25 times more than any traditional light bulb, meaning that LED bulbs can last up to 3 years if used 24/7. LED's have been also used in a wide range of applications such as TVs and traffic light, because they are easy to use, have a compact size, can resist breakage, and have the power to focus the light in just one direction instead of having it go in every way. LED's were not discovered in the U.S. in the 1960's, as many people think. LED's were discovered by Oleg Losev, a forgotten Russian genius around 100 year ago. Mr. Losev spent his life in many radio laboratories in Russia. This genius died of hunger at the age of 39 during the Leningrad's blockade. Though he did not get formal education, he spent a lot of time on research works and was granted 16 patents over time. He also created the crystadine, the first solid-state generator semiconductor amplifier. In the first paper about LEDs, Mr. Losev established what is known as the current threshold for light emission's onset from a point contant between a silicon carbide crystal and a metal wire, and then he recorded the spectrum of this light. Between 1924 and 1930, Mr. Losev provided the scientific community with a very comprehensive study of the LED, and then he outlined its applications. 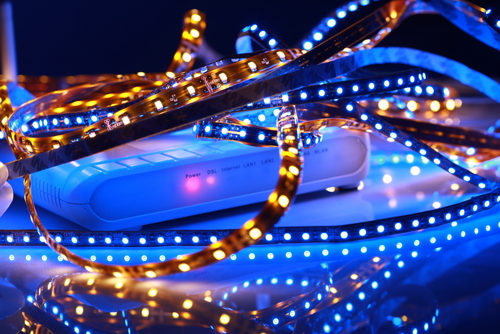 LEDs have been used extensively in optical fiber as they can be modulated fast. They have also been used in LED computers using infrared LEDs. LED is also used in medical equipment using signals from sensor circuits. Some sensors have special requirements that only LEDs can meet. Pulse oximeters use LEDs extensively to measure oxygen saturation. LEDs can also be used for photo detection and emission when used as photodiodes. Nintendo Wiis also use infrared LEDs in their sensor bars. Since LEDs emit less heat and are more energy efficient compared to HPS and other growth lights, plant growers are very interested in using them. LEDs also provide great light frequency for plants' bloom period and growth. LEDs are also used in the curing industry. UV LED curing is a new technology used to treat in any surface what is called as monochromatic ultraviolet radiation, and this radiation comes from LEDs. Mercury-vapor lamps traditionally carry out ultraviolect curing. Curing devices using this technology have been incorporated in commercial and industrial applications. UV LED lamps can last around 20,000 hours, but they are sold at a higher price compared to mercury lamps. UV LED lamps do not have any downtime to change lamps, and they do not have consumable lamp costs. However, curable inks made of UV LED have limited availability. Though infrared and ultraviolet radiation frame visible light's spectrum, they do not contribute to our ability to see. Ultraviolet radiation can cause eye and skin burns as well as damage fabrics, artifacts and artwork. Many traditional sources use infrared or ultraviolet radiation as these things cannot be avoided. LEDs are often chosen for many lighting applications because of the way they generate radiant energy, as they do not emit much infrared or ultraviolet radiation. This reduces the potential for any underirable effect and boosts efficiency. You can mix multiple LED chips into a single product. For instance, you can make white light by combining blue, green, and red chips. In addition to this, you can create light with different color temperatures by combining and adjusting 2 shades of white LEDs. People can use LEDs to increase occupant satisfaction in many settings such as homes, restaurants, hotels, and offices. LEDs' output can also be altered over their lifetime. This is used to reduce depreciation of lumen or/and prevent color shirt. This situation can reduce any initial over-lighting by removing lumen depreciation from any design calculation. You can dim any LED lighting product, but you also need to be sure there is compatiblity between hardware devices. You have to make sure that your dimmer combinations and your lamp are compatible to avoid color shift, premature lamp failure, audible noise, no range or very limited of dimming, and even failure to light. You might see the foregoing problems at full output or/and when dimmed. They are also dependent on the amount of lamps connected to any dimmer. The top-notch LEDs show better performance when matched with any compatible dimmer compared to HID lighting and CFLs.